Addressing entrepreneurs, policymakers, technologists, and academics today at the Carnegie India Global Technology Summit in Bengaluru, Dr. S. Jaishankar underscored the need to harness the power of technological change for faster economic development. “A world of greater digitalization and innovation awaits us,” the Foreign Secretary declared. Dr. Jaishankar stated that “the last decade has been about freeing up the economy. We cannot underestimate its significance. However, it became clear as years passed that we have fallen short in our transition to an industrial economy. We haven’t overcome our limitations of manufacturing capacity. Further, the attitude changes that come with it haven't been internalized,” professed the Foreign Secretary. “There are also some singular points in India’s endeavor. The fact that such changes are being brought about in a democratic framework, and in a pluralistic social environment. This is more evolutionary and painstaking approach,” the Foreign Secretary said. “Technology is a key driver of economic and social development. Sharp changes in technology shifts balances in power. 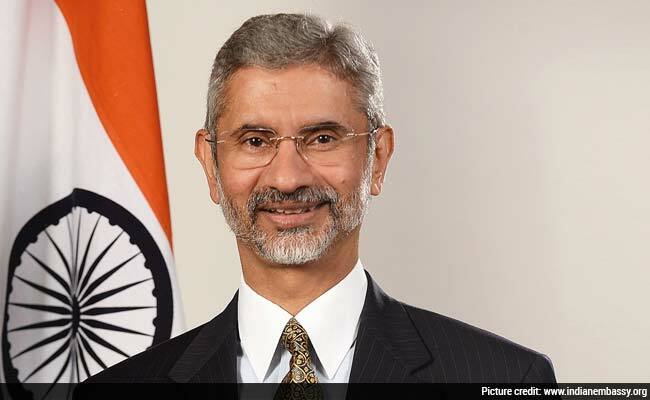 If India is to emerge as a truly leading power in the world, it can do so only when its human resources are brought into full play,” said Dr. Jaishankar. “A world of greater digitalization and innovation awaits us. Our value proposition to the world will also transform itself. The future lies in opening it up for the tech industry, with more branding and commercialization. This is how Indian technology can make its presence felt. The technology community should think bigger and aim higher,” asserted the Foreign Secretary.